The first time I heard about Shaun Tan was recently, when I was browsing through the graphic novels section at the bookstore. 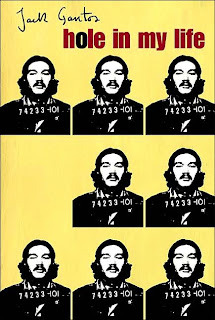 His new publication, The Arrival, was on display, and in the way that new books do, it lead me backwards to some of Tan’s previous publications. Lost and Found by Shaun Tan is an omnibus that contains The Red Tree, The Lost Thing, and The Rabbits. The book reads like a mix between a children’s book, a graphic novel, and a picture book. The first story, The Red Tree, was my favorite, and it sort of hit me like a ton of bricks reading it for the first time. It’s a simple story, with only a handful of words on each page (the other two stories have much more narration), and the illustrations are done in a variety of styles of art, a few of which really reminded me of Dave McKean. The Red Tree describes an ordinary day, where a girl is waiting for a change to happen in her life. One illustration is of the girl drawing tallies on the back of giant snail shell, a snail that is in turn almost miniscule against the background, and it drips with the difficulty of waiting for time to pass to a place where a change can happen. Tan writes, “Sometimes you wait and wait and wait and wait and wait and wait and wait but nothing ever happens. Then all your troubles come at once. Wonderful things are passing you by. Terrible fates are inevitable.” The short story carries a weight with it, realistic and familiar, that is resolved in a simple, subtle, and beautiful way. The second story, The Lost Thing, follows a narrator who begins, “So you want to hear a story?” which seems to express the weight of his experience that drives him to pass on his story. The story starts on a nondescript day, when the narrator finds “The Lost Thing,” with “a sad, lost sort of look. Nobody else seemed to notice it was there. Too busy doing beach stuff, I guess.” Tan’s illustrations in this story are beautiful and detailed, and his imagination devises a creature that seems to incorporate elements of a robot, an octopus, and a boiler, and is bright red in color. Unable to find its owner, the narrator follows instructions from another creature to find the place where lost things go. He leaves the thing in a place that is filled with others like it, but the narrator seems unsure that his Lost Thing really belongs there. Still, he leaves it there and goes on with his life, collecting bottle caps in a futuristic world where people seem indifferent to those lost things, the things that do not belong in their world. The Lost Thing was adapted into an animated film, and won an Oscar for Best Animated Short in 2011. Finally, The Rabbits is written by John Marsden (the prolific Australian writer) and illustrated by Tan. It is a postcolonial tale, and, as Tan explains, “The Rabbits is a story of universe colliding: one culture driven by powerful technology that transcends nature (much like our own), and another whose spirit is embedded in an ancient ecology.” The words are supported and taken to a new level with Tan’s illustrations, and it rounds out this collection of three strong, powerful stories. I think that sometimes it happens when you re-read a book or watch a movie that you’ve loved for so long, but you’ve maybe never exactly pin-pointed why, and realize that it has totally informed a lot of your political and social perspective. When I graduated with a Women’s Studies minor I was spending basically the first time relaxing after a lot of school, and was watching movies on cable TV. And I saw this one, All I Wanna Do (um, with Kristen Dunst, actually), that I had loved since I was in middle school, and after watching it I thought, “Oh. Women’s Studies minor. That makes sense.” Another one of those was Tamora Pierce’s Alanna series: “Women’s Studies. Feminism. Check, and check.” Although the movie and the book were both fiction, at their heart they passed on strong female characters and ideas. It’s a really nice middle point whenever pop culture – literature, movies, music – actually does connect with feminism, because it’s sooooooo unfortunately rare. And it forms this sort of instant recognition and almost validation, through the real world that you get right out of its fictional one. So. Libba Bray’s Beauty Queens. The only reason it took me as long as it did to pick this one up was because it’s still in hardcover. Luckily, I got it for Christmas this year (thanks, Mom!) and I seriously devoured it from last night until late last night. “I’ve been thinking about that book about the boys who crash on the island,” Mary Lou said to Adina one afternoon as they rested on their elbows taking bites from the same papaya. What if Mr. Wrong is the best I’m going to get? I can just imagine how engaging it would be to read a book like this in high school, either instead of Lord of the Flies or alongside it. Canonical books like Lord of the Flies are still taught (my sixteen-year-old sister just did it this past semester in high school), but more contemporary novels like Beauty Queens still aren’t really across the board – they’re left out of curriculum to teach novels written sixty years ago. It’s important also that those novels are still circulated in schools, but Beauty Queens is that new kind of version of canonical novel, like so many other new young adult novels. It seems like a missed opportunity to stay with just Lord of the Flies (which, you know, doesn’t have a single female character), or other such canonical novels, when something like Beauty Queens has something for every student, female or male. I absolutely loved this book. It’s really the first novel I’ve ever read that I’m anxious to actually start reading again, right from the beginning, and the ability for Bray to be able to tell a great story while also letting me do the whole, “wow, these are really the things I believe in,” is just incredible. 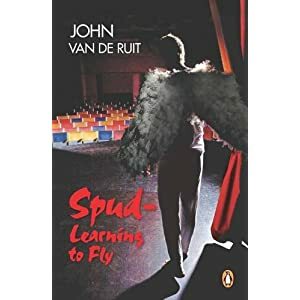 Spud: Learning to Fly is the third novel in John van de Ruit’s series about sixteen-year-old Spud Milton, detailing the time that he attends school in South Africa in the 1990s. This series of books is one of my favorites, and it is really similar to Louise Rennison’s Angus, Thongs, and Full-Frontal Snogging, but maybe directed at a more male adolescent audience instead of Rennison’s female one. Both use a journalistic style to document life at school, home, and in between, and the authors’ humor is probably the most notable and remarked on aspect of both series. Rennison’s series spans ten novels, and van de Ruit’s is at three, but promises four, and they’re an interesting complement to one another. The newest novel sees Spud continuing in his artistic endeavors, finally sharing with his family and friends his ambitions to be an actor. The highlight of one of the previous novels was probably the narration of Oliver! the play put on at Spud’s school. Spud manages to play the titular character and the event is one of the funniest, and enlightening for Spud (in another production at the school, Spud’s friend and dorm-mate, Fatty, is cast as an anchor). However, alongside the humor is the political and cultural reality of South Africa in the 1990s, and Spud particularly notes apartheid, Nelson Mandela, and national referendums. This South Africa setting for a young adult novel is incredibly effective. This book continues in the same vein of the previous two, and takes the reader further into Spud’s life at school and at home (where his psychotic dog Blacky is consistently terrorized by his father). Spud: Learning to Fly is hilarious while also keeping Spud’s journey through adolescence at its center, and I’m glad there’s still one more novel on the way to keep his story going. Hamilton, Gantos’ traveling companion, seems a man best avoided, yet Gantos has to live on a small boat with him for the weeks that it takes to get to New York. And when they arrive in New York, things fall apart, the two men are caught, and Gantos finds himself carted off to prison. It is here that he begins to write, between the lines on the pages of a prison library book. Lucky to get a job in the prison as an X-ray technician, Gantos is able to move out of the normal prison which kept him out of the trouble that caused the injuries he saw in the prison hospital. 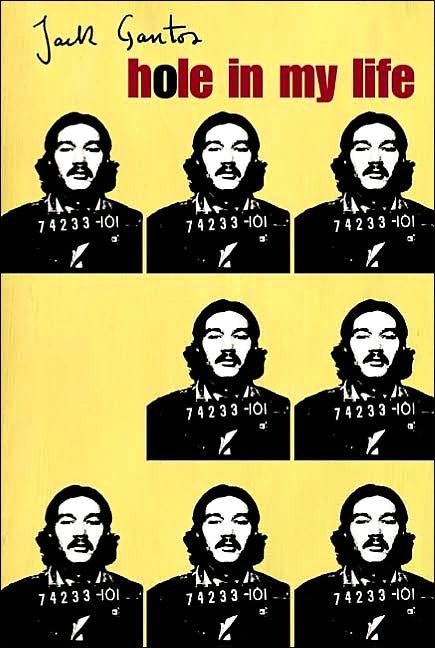 All throughout the novel Gantos tries to insert himself into a story that will give him something to write about, but, once in prison, he understands that the material was there all along. 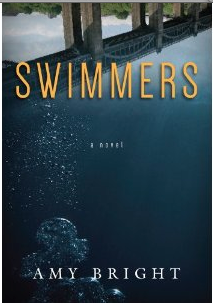 If anything, this novel is a reminder of the importance of story, both Gantos’ personal story and the narratives and potential for stories that came out of it. From the canonical and contemporary novels that are referenced throughout the novel, and Gantos’ reading of them, to his own writing that takes place, to his emulation and replication of the characters in the books that he reads, stories are inset within stories throughout Hole in My Life. Gantos shows himself to be an expert storyteller, finding narrative in all things. One of the funniest interviews I’ve ever heard is with Daniel Handler on CBC’s radio show Q. I think he was there to talk a little bit about his children’s picture 13 Words with Maira Kalman, his musical involvement with the Magnetic Fields, and a little bit about The Series of Unfortunate Events that he wrote under the pseudonym Lemony Snicket. But mostly the interview was just Daniel Handler making hilarious comments about pop culture and recent news. 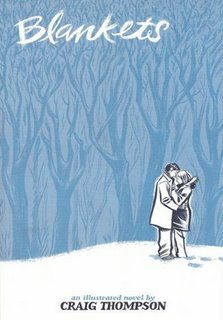 It was a great interview, and in it he also happened to mention Why We Broke Up, a young adult novel that he wrote and Maira Kalman (of The Principles of Uncertainty) illustrated, which just came out a few weeks ago. Why We Broke Up tells the story of just why, exactly, Min Green broke up with Ed Slaterton. The reasons why are woven in with Kalman’s illustrations, her representations of the objects Min leaves in a box and drops off at Ed’s house, each of which helps to tell the story that Handler writes. Some of these illustrations include a ticket stub to an old-fashioned movie, a protractor, and two bottle caps. This book is filled with large moments and small ones, all of those that are deemed necessary by Min to tell the story of a high school relationship. The pairing of words and illustrations makes the story tactile and meaningful, and brings another dimension into the end of a relationship. The circular story – Min dropping off a box on Ed’s front steps and proclaiming their relationship over, to the beginning, middle, and eventual end of the relationship, where the novel starts – works perfectly, and Min Green’s voice will stay in your head a long time after finishing this novel. I really didn’t know what to expect with Craig Thompson’s graphic novel Blankets. I became interested in Thompson after seeing his newest publication, Habibi, in the bookstore. And the reason I was interested was because I actually got Craig Thompson and P. Craig Russell confused. Russell does art and illustration for Neil Gaiman, especially his Sandman series, and so when I saw a graphic novel and the name “Craig” as the author/illustrator, I immediately did my Neil Gaiman connection (because I almost always do), and it wasn’t until I looked up Craig Thompson at home that I realized that I was thinking of the wrong person. But while I had confused the two, I ordered Blankets and I read it over the Christmas holidays. Blankets is Craig Thompson’s autobiographical graphic novel, along the lines of Alison Bechdel’s Fun Home and Judd Winick’s Pedro and Me. Although it is a coming of age story and moves chronologically, Thompson chooses important moments to employ flashbacks and flash-forwards through his personal timeline. The novel details Thompson’s childhood and adolescence in an Evangelical Christian family, and Thompson particularly brings to life the farmhouse that he grew up in, especially the upstairs room that he shared with his younger brother Phil. Thompson spends the majority of the “coming of age” detailing his relationship with Raina, a young woman the same age as him that he meets at a church camp one winter. Many of the illustrations are focused on capturing Raina, and Thompson details their conversations and letters and the things shared between them. Craig spends two weeks at Raina’s house during a winter vacation from school, and their parents drive both of them halfway in order to meet. Spending days and nights with Raina allows Craig to begin to form his understanding of love and connection, and the blanket that Raina makes for Craig seems to become the physical embodiment of what this stands for. Another important facet of this novel is Craig’s relationship with his brother Phil. The juxtaposition between the childhood representations of Phil as he shares a bed with his brother, to Phil grown up and moved to his own place in the house is incredible, and Thompson seems to conceal more of this brotherly relationship than he reveals. 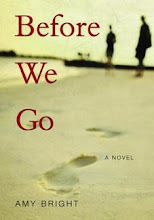 Thompson shows the intricacies of first love through autobiography. That this is his material and his experience is evident through the close, personal nature of the narration and illustration. It is a beautiful story that connects Thompson’s childhood with his adulthood, and presents his path towards creativity. Daughter of Smoke and Bone by Laini Taylor has just introduced one of my favorite female protagonists of all time: Karou, a seventeen-year-old artist who lives in Prague. She has bright blue hair, undyed (she claims that it grows that color), a smattering of tattoos, and a family job that requires her to run dangerous errands across the globe at the drop of a hat (she is shot on one errand and contracts malaria on another). When the novel starts, the reader finds out that Karou has just gotten out of a bad breakup. Her ex-boyfriend is Kaz, a young man who, along with his actor friends, dresses up as a vampire in order to lead tourists on a haunted tour through the old streets of Prague. Although Karou seems too good for Kaz, Taylor provides an example of Karou’s romantic relationships in order to make a point of comparison that will be useful later in the novel. Kaz is just one of the first pieces of Karou’s life introduced to the reader, as the narrator follows her through Prague to her school, where she takes a series of art classes. While at art class, Karou has the chance to reflect on her drawings, those that fill over ninety notebooks that she carries with her between school and her apartment. Karou’s notebooks are a point of fascination for her friends. They are filled with monsters and creatures that seem imaginary, and Karou has a way of making her friends believe in their fictive nature while all the while insisting they are real. Although many people seem to be interested in Karou, her best friend Zuzana is the only one who is ever concerned about Karou’s constant disappearing act. I found that this book is so effective because the beginning few chapters are set in the realistic mode, despite the fact that this is a work of fantasy. Karou’s journals, her monsters drawn inside, provide the only hint at there being something more to the story, and yet these drawings seem so outlandish and are backed by so much realism, that at first the story seems nothing but that. It is very much like Harry Potter in that way, grounding the reader in something familiar and normal before spiraling through to something that is most certainly not normal. The reader is slowly let into Karou’s real life, one that takes place in the back of a magical shop run by Brimstone, an imposing beast whose image is found drawn within her notebooks. Brimstone, the reader learns, grants wishes. Karou wears a necklace of scuppies, small beads that grant small wishes. Wishes come in greater sizes, but those are out of reach from Karou and require much to acquire. Karou uses her scuppies to torment her ex-boyfriend, to erase a tattoo, and to make her hair grow out blue. When things start to go wrong in the fantastical world that she was raised in, Karou finds herself leaving behind art school and Prague to find out what has happened to her family. The novel starts out very realistic, and the fantasy comes slowly, which makes it palatable to the reader. We are slowly let in to Karou’s family life, where we learn she has been raised and cared for by monsters. But from here the fantasy progresses, when Karou’s true nature is revealed, and the secret behind the strange eye tattoos that blacken her palms becomes clear. This novel is just the first in a series, and I am really interested in seeing what comes next, and what happens to Karou’s character. Without giving too much away, Karou’s sense of not feeling “whole” and experiencing the knowledge that she should be somewhere else, is explained by the end of the novel. I found that it seemed to lose something of Karou. The invigorating and exciting character introduced at the beginning of the novel is lost slightly upon the realization or recognition of her true nature, or at least hidden briefly from the reader. But, for Karou, Prague, and fantasy, this book is definitely worth taking a look at, and I’m looking forward to the next book (and the movie apparently. It’s just been optioned! ).